Bright dusty garnet color. Aromas and flavors of pickled blackberry, mustard greens, roasted red pepper, sweet figs, and chocolate sauce on toast with a satiny, vibrant, fruity medium body and a peppery, appealing, medium-length finish with accents of fire-roasted tomatoes and hint of lychee with moderate oak flavor. Savory and sweet coexist gracefully in this highly pairable wine. Bottom Line: Savory and sweet coexist gracefully in this highly pairable wine. 90 • Andes Plateau 2016 Cota 500 High Altitude Vineyard, Cabernet Sauvignon, Maipo Valley 14% (Chile) $24.99. 90 • Andes Plateau 2015 700 High Altitude Vineyard Red Blend, Maipo Valley 13.6% (Chile) $34.99. 93 • Bottero 2013 Syrah Capicua Blend , Syrah-Cabernet Sauvignon-Carmenere, Cachapoal Valley 13.7% (Chile) $19.99. 91 • Bottero 2013 Cabernet Sauvignon Capicua Blend , Syrah-Cabernet Sauvignon-Carmenere, Cachapoal Valley 13.7% (Chile) $19.99. 84 • Casas del Toqui 2015 Barrel Series Reserva, Carmenère, Cachapoal Valley 14% (Chile) $17.99. 90 • Casas del Toqui 2015 Coastal Mist , Sauvignon Blanc, Paredones 13.5% (Chile) $19.99. 90 • Casas del Toqui 2014 Terroir Selection Apalta Gran Reserva, Malbec, Colchagua Valley 14% (Chile) $19.99. 87 • Casas del Toqui 2014 Barrel Series Reserva, Cabernet Sauvignon, Cachapoal Valley 14% (Chile) $17.99. 87 • Casas del Toqui 2017 Single Estate, Sauvignon Blanc, Central Valley 13% (Chile) $11.99. 87 • Casas del Toqui 2017 Single Estate , Chardonnay, Central Valley 13.5% (Chile) $11.99. 86 • Casas del Toqui 2017 Single Estate Grown, Cabernet Sauvignon, Central Valley 13.5% (Chile) $11.99. 87 • Casas del Toqui 2017 Single Estate , Carmenère, Central Valley 13.5% (Chile) $11.99. 88 • Casas del Toqui 2017 Coastal Series Reserva, Sauvignon Blanc, Leyda Valley 13.5% (Chile) $11.99. 88 • Casas del Toqui 2016 Barrel Series , Pinot Noir, Rapel Valley 13.5% (Chile) $17.99. 86 • Casas del Toqui 2016 Barrel Series , Cabernet Sauvignon, Cachapoal Valley 14% (Chile) $17.99. 93 • Casas del Toqui 2016 Barrel Series , Carmenère, Cachapoal Valley 14% (Chile) $17.99. 87 • Casas del Toqui 2015 Terroir Selection Peumo Gran Reserva, Carmenère, Cachapoal Valley 14% (Chile) $21.99. 80 • Casas del Toqui 2017 Coastal Mist Selection, Sauvignon Blanc, Paredones 13.5% (Chile) $21.99. 89 • Casas del Toqui 2014 Gran Toqui , Cabernet Sauvignon, Cachapoal Valley 14% (Chile) $24.99. 92 • Casas del Toqui 2014 Gran Toqui , Syrah, Cachapoal Valley 14% (Chile) $24.99. 89 • Casas del Toqui 2014 Codigo Red Blend, Cachapoal Valley 14% (Chile) $44.99. 91 • Casas del Toqui 2013 Leyenda Red, Cachapoal Valley 14% (Chile) $80.00. 86 • Green Quartz 2018 Sauvignon Blanc, Casablanca Valley 13% (Chile) $14.99. 90 • Manos Andinas 2015 Reserva, Pinot Noir, Casablanca Valley 13.5% (Chile) $14.99. 89 • Manos Andinas 2016 Reserva, Pinot Noir, Casablanca Valley 13.5% (Chile) $14.99. 90 • Manos Andinas 2017 Reserva, Sauvignon Blanc, Casablanca Valley 12.5% (Chile) $14.99. 91 • Manos Andinas 2018 Reserva, Malbec, Mendoza 13% (Argentina) $14.99. 85 • Manos del Sur 2016 Reserva, Sauvignon Blanc, Casablanca Valley 12.5% (Chile) $14.99. 81 • Manos del Sur 2015 Reserva, Pinot Noir, Casablanca Valley 13.5% (Chile) $14.99. 87 • Manos del Sur 2015 Reserva, Malbec, Mendoza 13% (Argentina) $14.99. 84 • Manos del Sur 2015 Reserva, Cabernet Sauvignon, Cachapoal Valley 13.5% (Chile) $14.99. 81 • Manos del Sur 2016 Reserva, Cabernet Sauvignon, Cachapoal Valley 13.5% (Chile) $14.99. 87 • Manos del Sur 2017 Reserva, Sauvignon Blanc, Casablanca Valley 12.5% (Chile) $14.99. 89 • Manos del Sur 2018 Reserva, Sauvignon Blanc, Casablanca Valley 12.5% (Chile) $14.99. 89 • Manos del Sur 2017 Reserva, Pinot Noir, Casablanca Valley 13.5% (Chile) $14.99. 85 • Manos del Sur 2017 Reserva, Cabernet Sauvignon, Cachapoal Valley 13.5% (Chile) $14.99. 89 • Red Quartz 2017 Pinot Noir, Casablanca Valley 13.5% (Chile) $14.99. 84 • Rose Quartz 2017 Rose, Pinot Noir, Leyda Valley 13.5% (Chile) $19.99. Chile is home to many notable red wines beside Carmenère. 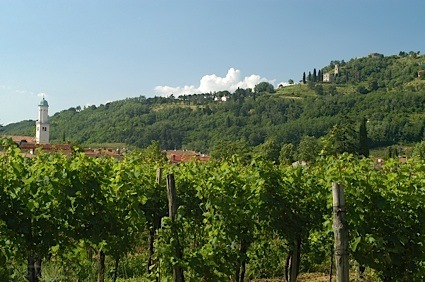 Bordeaux varieties such as Cabernet Sauvignon and Merlot are planted in large numbers in many of the country's regions. Maipo Valley is the leading region for these wines, especially in terms of quality, which is often world-class. These grapes are also grown in Chile's warm Central Valley, which produces inexpensive wines of very good character. Cabernet Franc, Syrah and Pinot Noir are also excellent Chilean reds. Syrah has adapted well to both cool (San Antonio and Casablanca Valleys) and warm regions (Colchagua Valley) in the country, while Pinot Noirs from Leyda and San Antonio Valleys near the Pacific Ocean display great complexity. 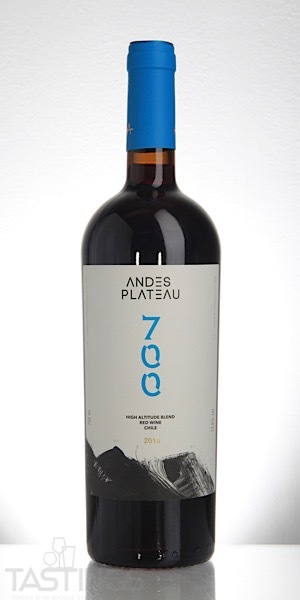 Andes Plateau 2015 700 High Altitude Vineyard Red Blend, Maipo Valley rating was calculated by tastings.com to be 90 points out of 100 on 11/5/2018. Please note that MSRP may have changed since the date of our review.